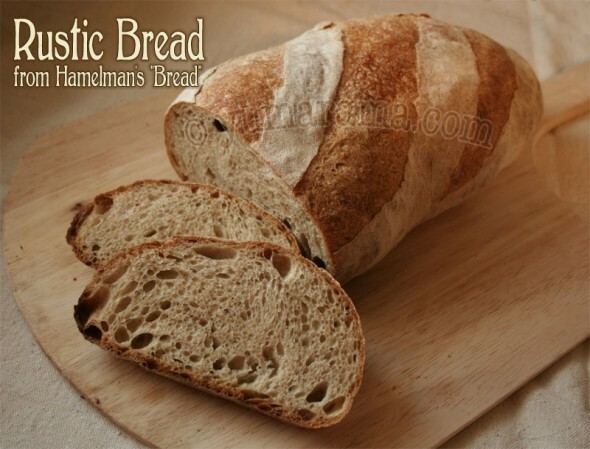 This Rustic Bread is made with 20% whole wheat flour which gives the bread a "robust and distinctive flavour". 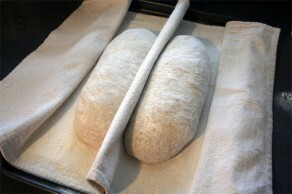 As whole wheat absorbs a lot of water, be sure to check your dough consistency and adjust hydration as needed. 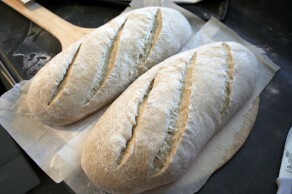 Rustic Bread can be shaped as an oval or round but you can also make rolls if you wish. This bread is found on page 115. When you're ready to post your bread results, please start a fresh thread in this subsection.